As an experienced Business Mentor who has worked with plenty of different people and companies over the years, I’m often asked if there’s a magic ingredient for business success. Those who know me well already know that planning would be high on the recipe! However, this is closely followed by differentiation. After all – however much you think you are – it’s totally unlikely that you will be doing something completely unique. But that doesn’t mean you can’t be successful. It just means you’ll have to give some extra thought to what really makes your micro or side hustle business different. Start by thinking about what you’d most like to be known for. 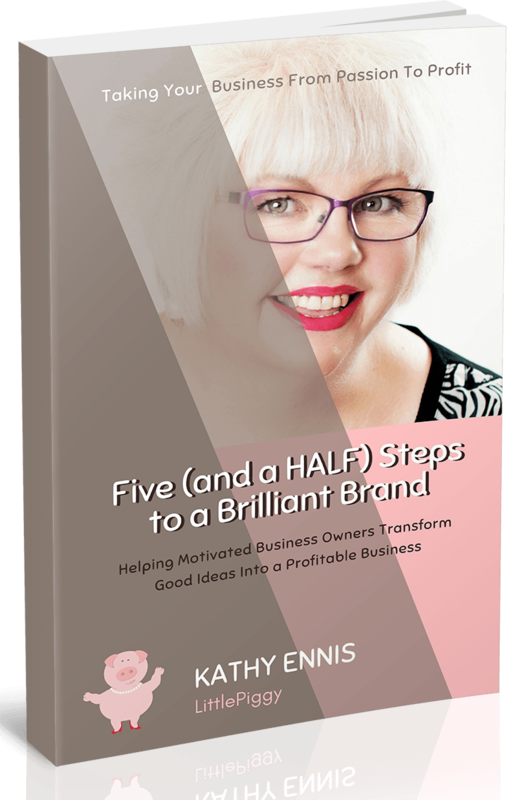 Developing a strong business brand from the start will really help you stand out in a crowded market, and stop you from heading down the tricky road of competing on price alone. Note that a business brand doesn’t simply consist of a whizzy logo! A brand can be defined as a collection of thoughts and feelings that people have about a product or service. Think of Rolls Royce as an example: the words ‘expensive’, ‘stylish’ and ‘classic’ may well spring to mind. Your brand will form the basis of your USP – otherwise known as your ‘unique selling point’. Ideally, your USP will grab people’s attention, offering them a clear benefit. If you’re anything like the majority of my clients, you’ll probably hate this suggestion. But it has to be done. You could try offering benefits your competitors don’t, such as a wider delivery radius, a small birthday gift, or 24-hour customer service. Your USP doesn’t have to be 100% original. Plenty of successful companies have established brands that are based upon something everybody does – they were just the first ones to talk about it! But if you do have something original to shout about, then don’t be afraid to do just that. You might have previous experience that others don’t; you may offer your products and services in an interesting, or different, way; you may use your personality, or personal brand, to showcase your business. You’ll win yourself another head start in business by doing customer research. I mentioned in my previous blog post that friends and family are the worst people to ask for an opinion, and I meant it! If you’re starting a new business, they will tend to either over-encourage or over-criticise you – when what you really need is objective feedback about your business idea. So take the time to find out what frustrates customers most in your business market, and then come up with a USP that addresses them. One you know your USP, it’s time to talk about it! Try your best to drill it down to a memorable strap-line (you don’t have to be clever, just be clear) and then use it in your marketing activity wherever you can. There is a saying that customers don’t buy their way into something; they but their way out of something. What this means is, customers will buy from us when we demonstrate that we understand what they want and can provide a solution; they are not that interested in how we do it. Your pitch needs to sell the benefits, not the features; sell the sizzle not the sausage! 5. Side-Hustle or Start-Up: Which is Best for Your Success? Another question I’m often asked is whether you’ll be more successful running a side-hustle (making money from a business idea whilst still employed), or taking a full leap into business. I’ve seen a lack of self-confidence, particularly at the beginning, plague new business owners. I’ve also seen some side-hustles spiral out of control, leaving a trail of exhausted, burnt-out business people in their wake. If you’re feeling nervous or unsure about your business idea, a side-hustle could be a great way to test the water, while still earning enough to pay the bills. Just keep a close eye on your hours, and remember to take care of yourself along the way. If you’re ready to take the plunge, then remind yourself that you ARE good enough to start a business. If it’s just you, then so much the better – you’ll have nobody to argue with! However, you’ll need to make sure you’ve got plenty of support on your side. An experienced Business Mentor can help guide you through those confusing first steps. Fancy a half-hour chat about the one thing that seems to be getting on your way? Contact me to book a Clarity Call and we can do just that! Whichever path you take, try to keep in mind that mistakes will happen. You’re only human, and starting a successful business is all about learning, preparing and growing, anticipating potential issues wherever you can.